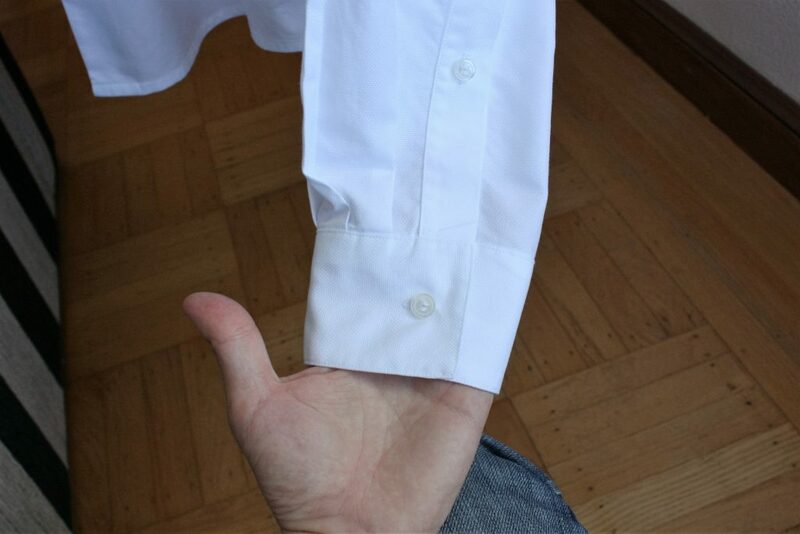 The idea is that this shirt would be more casual and suitable for every day wearing. 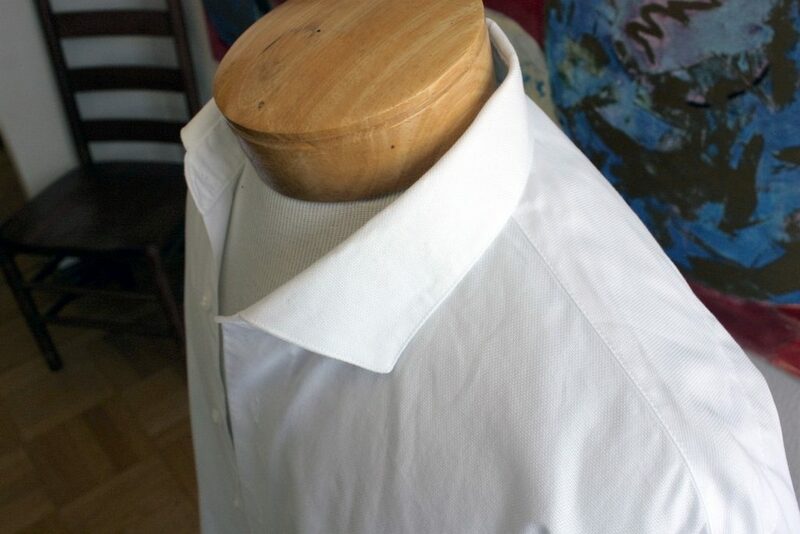 A standard barrel cuff replaces the French cuff, and I lengthened the sleeve placket to make rolling up shirtsleeves easier. 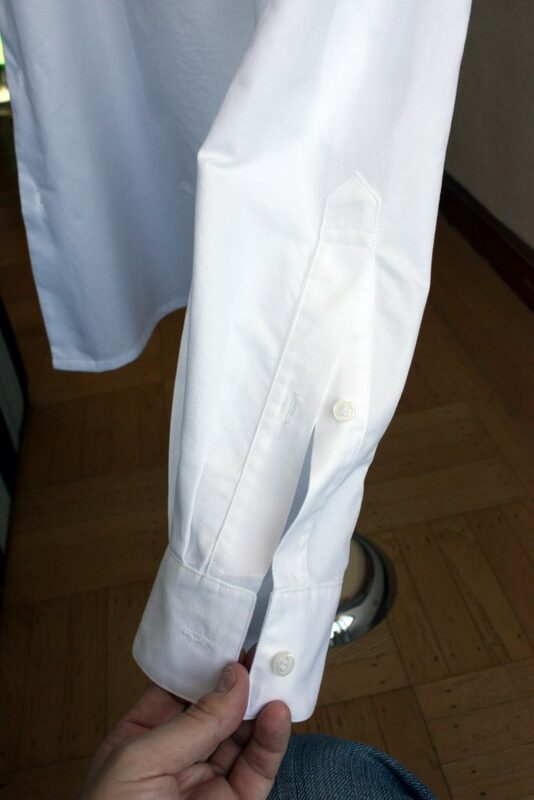 This was a suggestion from Tammy at Sips N’ Sews, where I did most of the work. 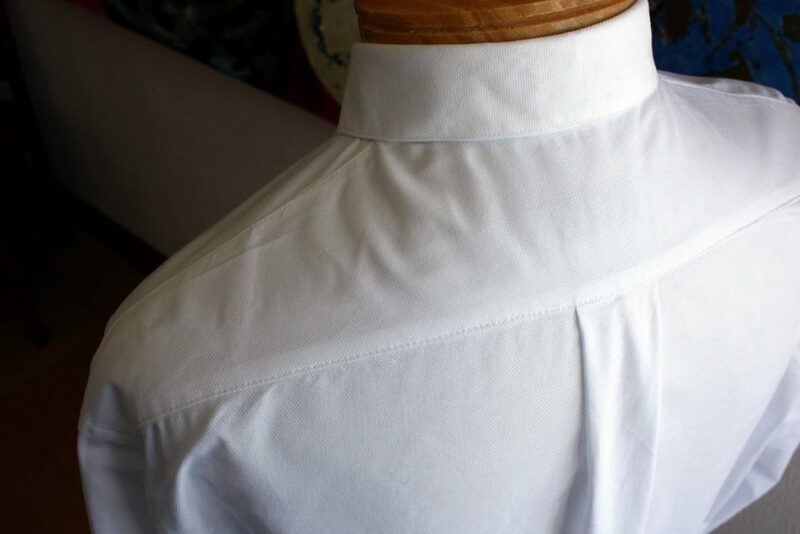 I had basted in a set of unfinished sleeves for fitting purposes. 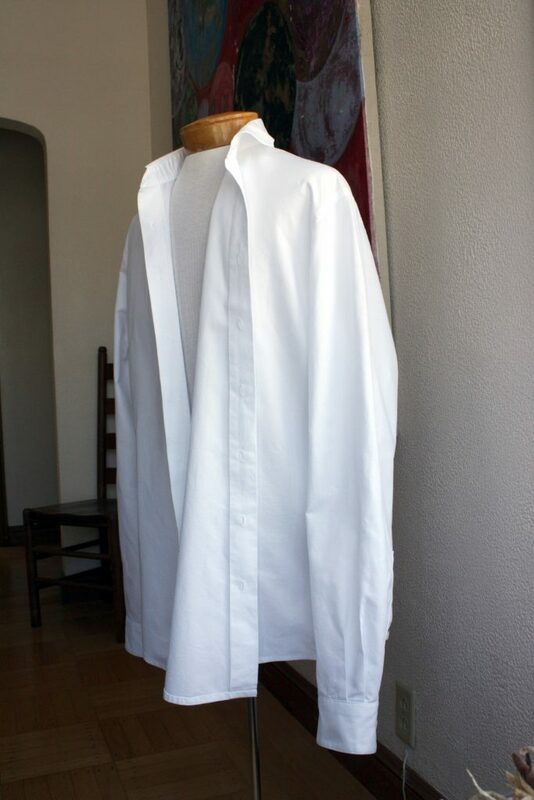 So the work was to pick off the sleeves and sleeve seam, finish the plackets and cuffs, then reattach the sleeves to the body of the shirt. The barrel cuff required I adjust the sleeve somewhat. 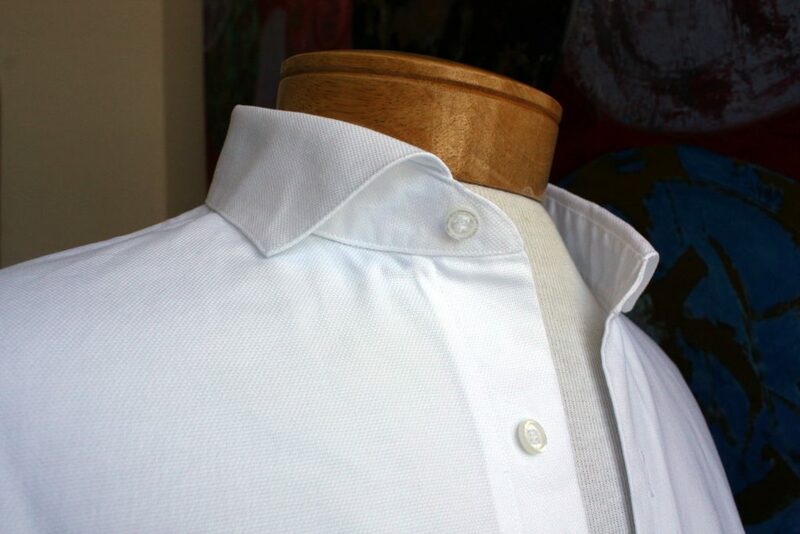 To make a French cuff, you turn the sleeve placket underlap inward. 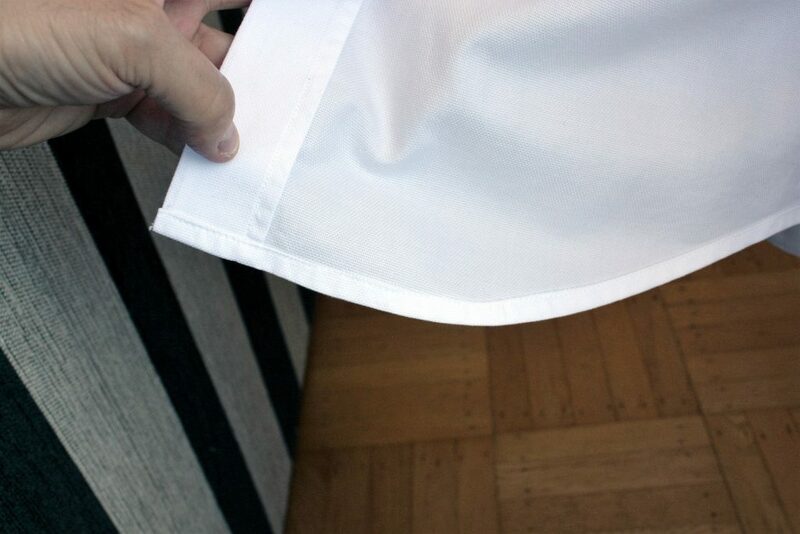 For a barrel cuff, you don’t turn in the sleeve placket. So the sleeve is a little wider, 1 inch in my case. 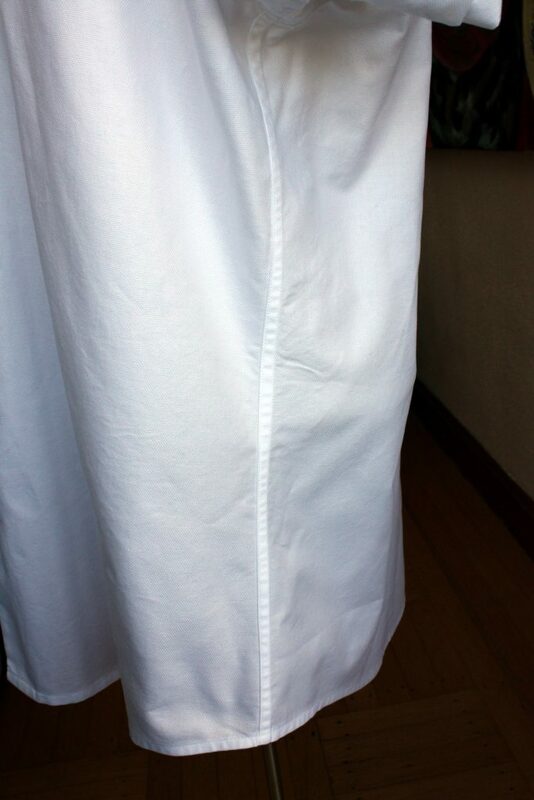 I took in the extra width by adding a third pleat at the sleeve. 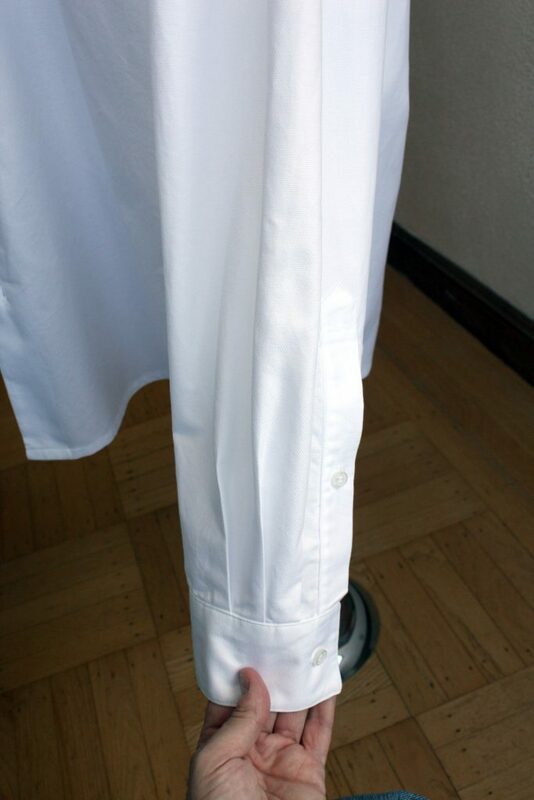 I had cannibalized the mother-of-pearl buttons to produce the shirt ultimately worn to the wedding. So I had to attach new buttons as well. I opted for plastic rather than mother-of-pearl, mainly because I have them on hand and the shirt is intended to be more casual. Another minor difference is the shirt is an inch shorter than the “final” shirt, as I made a pattern adjustment between the two. 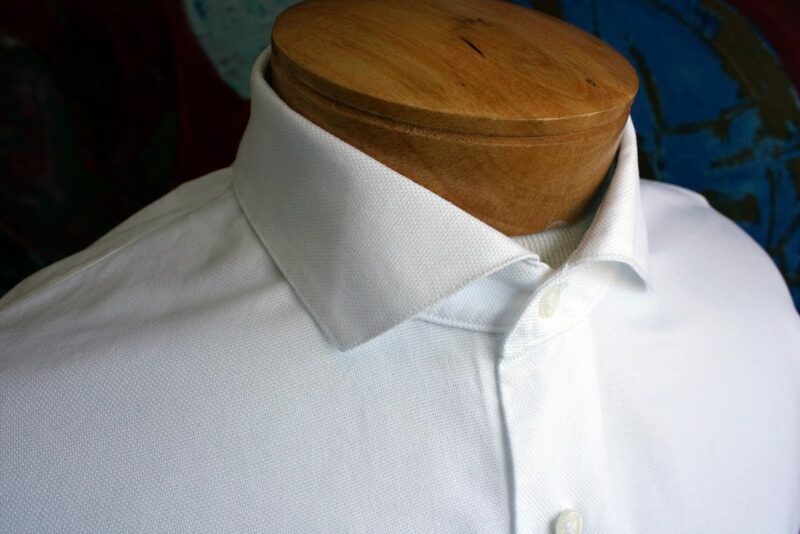 The collar turned out well, a little bit better than the final shirt. The shirt really doesn’t fit the dress form I’m displaying it on – it’s too large, for starters – but here’s a view of the back, including the yoke. This turned out great! I hope your client is happy with it. Love love love this shirt. Beautiful. 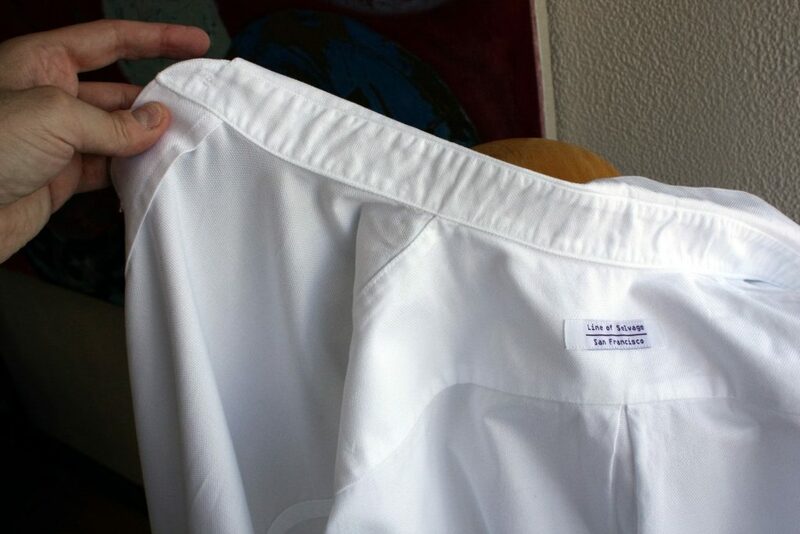 Wrinkles or no, I like the luxury fabric. 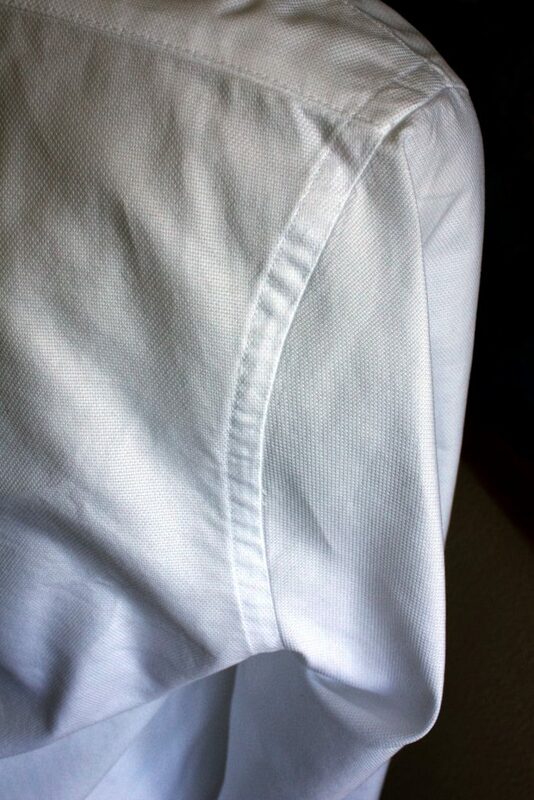 Acceptable wrinkling like linen. Upscale casual. Beautifully made! Thanks for all the detail shots. Nice work. Thanks for taking the time to share your process and results.